Like most states, Ohio has its share of symbols. 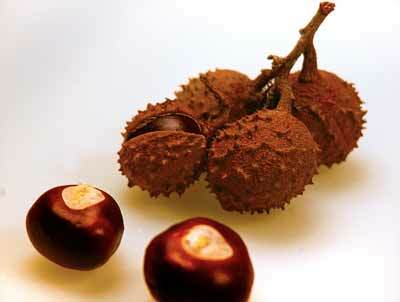 The Buckeye was unofficially recognized as the state symbol as far back as the 1840s. It was officially recognized as the state symbol in 1953 with the Ohio legislature naming Aeschylus Lara (Buckeye Tree) as the official state tree. But did you know that Ohio also has a state beverage (Tomato Juice), a state bug (Ladybug), a state reptile (Black Racer), a state gemstone (Flint) and even a state fossil (Trilobite). The General Assembly adopted the cardinal as the official bird of Ohio in 1933. Its red plumage, high crest and beautiful song made it a fitting symbol of the state. You might suspect that Ohio had lots of cardinals back when the state was mostly forests, but that would not be true. Since the last ice age, deer have been present in the state. The white-tailed deer provided not only a regular food source for Native Americans in the state, the deerskins were used for clothing and tools. The deer population remained fairly consistent, even though there were plenty of natural enemies that preyed on the deer including wolfs and cougars that were also plentiful across the state. The first mention of the carnation flower appeared more than 2,000 years ago in Greece when the Greek philosopher Theophrastus wrote about the fanciful flower in his botanical texts. It would take the efforts of an amateur botanist, and the death of his long-time friend and our President, to make the Scarlet Carnation the Ohio state flower in the early 1900s. The state's scarlet carnation was a variety developed specifically by Dr. Levi Lamborn of Alliance. He was a political foe of William McKinley, but also his friend. After McKinley beat him in an early political race, Dr. Lamborn, who was also an avid botanist, gave McKinley one of his special scarlet carnations to wear as a boutonniere. When McKinley won the presidency in 1893, Dr. Lamborn made sure that his friend had plenty of his scarlet carnations to wear throughout his presidency. It was that scarlet carnation that became a trademark of President William McKinley. Early in his second term in office, McKinley was attending the Pan-American exposition in Buffalo. Standing in a receiving line in the Temple of Music pavilion, shaking hands with well-wishers. One of those in line was a young girl who couldn't believe her good fortune of meeting the president. Overcome with enthusiasm, she asked impolitely if the president could give her anything to show her friends back home that she actually had met the president of the United States. McKinley obliged by removing his boutonniere and giving it to the young girl. Just after that exchange, Leon Czolgosz fatally shot the president twice before being subdued. McKinley died a few days later, more probably from failed attempts at removing the bullet, than the bullet itself. Three years later, the state legislature chose the red carnation to honor President McKinley. Alliance Ohio now has an annual Carnation Festival in honor of Dr. Lamborn's contributions. Everyone knows about the ladybug, except for the fact that it isn't actually a bug! Ladybugs are really a beetle and are officially known as ladybird beetles. There's literally hundreds of different types of beetles that many people would call ladybugs, and that's ok, because when the Ohio State Legislature was busy designating this insect as the official insect, they didn't do much research into the whole classification system. So in 1975 the familiar orangish-red beetle was adopted as the official state bug, even though it's a beetle. As the end of the 20th Century approached a new bug that looked to most untrained eyes began showing up in the fall and really began to give serious thoughts to taking away the status of state bug from the lowly ladybug. But, as it turns out, this crush of orange beetles that look just like our cherished ladybug are imposters that came from Asia. Those orange masses are actually multicolored Asian lady beetles, not to be confused with the orangish-red ladybugs. In 1986 the Ohio General Assembly made the white trillium Ohio's official wildflower. The General Assembly selected this flower because it grows naturally in all of Ohio's 88 counties, but then, so do dandelions. The trillium is a common flower found in the woods and other protected areas. It blooms between April and May when the soil temperatures begin to warm. Trilliums are high on the list of favorite food snacks for one of Ohio's other state symbol: the white tailed deer. You might wonder what the heck: Ohio already has a state flower, the carnation, why add to the confusion with the trillium. The answer, like most things in the state, is somewhat political. A carnation is a commercially grown flower, like poinsettias at Christmas time. The founding president of the Ohio Native Plant Society of Northeastern Ohio, Ann Malmquist, felt that the cultivated flower developed by an Ohio amateur botanist and worn regularly by one of Ohio's favorite sons during his presidency, wasn't good enough to be the state flower. Ms Malmquist's annoyance led to her campaign to secure a place in Ohio's history as "the" state wildflower for the white trillium, which can be found just about anywhere in eastern North America in hardiness Zones 4 - 7. I would have thought the official state beverage might have been beer, but, sadly no it is the juice from a plant that Native American's thought was poisonous. Although the plant originated in Mexico, it would take a Reynoldsburg citizen to develop a way of growing these red fruits in a way that made sense commercially, to grow, harvest and pack tomatoes. Before developing his tomatoes, the 29 year old Alexander Livingston purchased the Buckeye Garden Seed Company in 1850 from Robert Robertson who was moving away from the area. In 1870, Alexander Livingston began growing tomatoes commercially. He even developed a number of new tomato species with the first being the Paragon Tomato. Alexander Livingston and his Matilda raised 10 children. Besides working on his beloved tomatoes, he also taught Sunday school at the Ohio State Penitentiary. Move forward about 100 years, and the city of Reynoldsburg wants to honor it's native son and his creation. The Reynoldsburg Tomato Festival is created and about the same time the Ohio General Assembly made tomato juice the official beverage. And, not for good reason. In 1965, Ohio is the 2nd largest tomato juice producing state in the nation, with only California producing more. Today, processing plants in Ohio produce over 150,000 tons of processed tomatoes. In 1995, the Ohio Legislature made the Black Racer Ohio's official reptile due to the snake's prevalence in the state. The Black Racer's scientific name is Coluber constrictor constrictor. The Black Racer lives in Ohio's eastern and southern counties and is closely related Blue Racer which lives in the northern and western portion of the state. The only real difference between these two snakes is their color: Black Racers being entirely black and Blue Racers have a gray or greenish tint to their skin. The black racer is called a racer because of its speed. It can maneuver about at speeds around 10 miles per hour, so if you're ever attacked by a black racer, you'll have to run fast. (For those that take things literally, this was stated in jest. Both varieties of racers found in Ohio are non-poisonous and are actually help out farmers a bit by eating lots of rodents that create problems for some of their crops). Written by the McCoys, the tune "Hang on Sloopy" became an Ohio State University favorite during sporting events. In 1985 the Ohio State Legislature added the song to the long list of official state symbols, at least that's what everyone thought. The Ohio General Assembly passed a joint resolution in 1985 recognizing "Hang On Sloopy" as Ohio's official rock song. Evidently though, that wasn't good enough to name is the Official State Rock Song. Since then the song has come up under different bills, but has yet to be codified as the official rock song. The McCoys were from Dayton and it was Bert Berns and Wes Farrell who wrote the original lyrics to the tune. When it was first performed in 1964 by The Vibrations, it was originally called "My Girl Sloopy". However, another Ohio singer, Dorothy Sloop of Steubenville, changed the lyrics slightly to "Hang On Sloopy." With the popularity of Snoopy the dog in the Peanuts comic strip, Sloopy and Snoopy got confused a bit for a time. But in time everything got worked out and "Hang on Sloopy" became the official rock song for Ohio.